Amidst the shift from waterfall to Agile, the most debated topic among software professionals was whether TCoEs will remain relevant or they’ll be gone for good. Many argued that with the implementation of Agile, Testing Centers of Excellence will lose their charm and become redundant. At the beginning, the shift from a centralized testing approach to a decentralized one led to the belief that TCoEs will not find a place in the future of software testing. The challenges faced by the TCoEs seemed difficult to overcome, making the CXOs believe that TCoEs are an unnecessary expense in an Agile setup. As the SDLCs were becoming more automated, the traditional platforms used in most CoEs were creating numerous hurdles. The proprietary platforms were slowing down the otherwise rapid delivery process. For TCoEs to survive, the solution was to quit shying away from the change and enter the Agile waters with their head held high. Did they drown or were they able to cross the stream? Let us find out. Acceptance of Agile was driven by the need to shorten an average cycle length of a software development. The proprietary platforms used in traditional Testing CoEs slowed down the cycle, thus making the incorporation of Agile meaningless. The conventional tools could not keep up with the fast pace and were inapt against the open-source toolsets that organizations were adopting. Being time consuming, the traditional TCoEs incurred expensive delays in the assigned software delivery schedule. This resulted in unidentified defects and performance issues, causing a blow to the company’s brand image due to poor-quality applications. There was an absence of QA framework for Agile development, thus, hindering the process of continuous improvement. 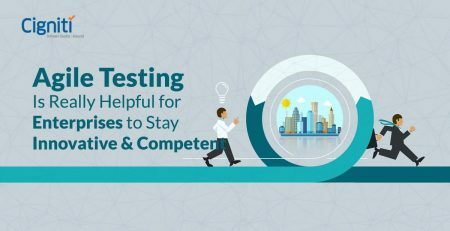 For TCoEs to make sense in an Agile setup, there were only two options – either to get rid of the TCoEs and use a decentralized testing approach, or to keep them in the game by equipping them with more robust, modern, faster test platforms. 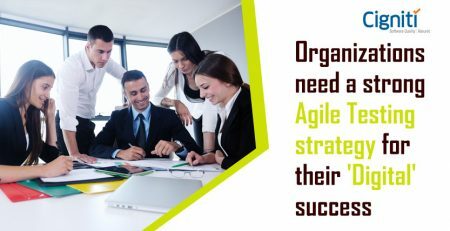 Today, a few years after the introduction of Agile, TCoEs are very much in existence, and further evolving to become an integral part of an Agile SDLC. Those who could foresee and adapt their testing environment by keeping the TCoEs at the core are now leveraging the fruit of their patience, while others are now hustling to reinvent their testing strategies by bringing back TCoEs. The one thing that kept TCoEs relevant, was their ability to evolve and adapt with the changing time and technologies. The benefits that they bring to the table are immense and play a crucial role in delivering a successful application. There are three main components of a TCoE – Processes, People, and Platforms & Tools. A TCoE needs appropriate QA processes in place that deal with promotion, requirements, resources, management, and efficiency control. People, in the form of test automation engineers, test managers, QA managers, and manual test engineers, are still an integral part of modern-day TCoEs. They utilize Platforms and Tools such as test automation frameworks and bug tracking tools to identify risks, vulnerabilities, performance gaps, among other issues. The changing landscape of software development has caused defragmentation of the existing TCoEs and adaptation of a more sophisticated model. This new model is also built with the aim to provide a centralized QA platform to the segregated Lines of Business in an organization but has been evolved to be in sync with the fast-moving Agile cycles. These TCoEs cumulate various methodologies, policies, standards, procedures, and practices, offering a single reference point for all current and future software development issues. An advanced TCoE helps organizations achieve a high level of QA maturity by ensuring a balanced allocation of resources and test automation. By unifying and categorizing all manual test cases, a TCoE decides whether to dispense a manual resource or use automation. In doing so, it reduces and prevents the occurrences of missed, undetected issues and bugs. It eliminates redundancies by enabling the “shift-left” methodologies and ensures optimal compliance levels with the desired framework. An evolved TCoE facilitates fast, timely, on-budget execution of projects with negligible failure risks, leading to enhanced efficiency and process quality. A better-managed process, enabled by TCoEs, lowers the pressure and stress level, thereby yielding more productivity and job satisfaction among the staff. By improving the overall standards through deployment of a proactive quality management cycle, TCoEs help generate higher ROIs and user satisfaction. Through a shared, open communication channel, TCoEs become a dynamic knowledge center where different lines of business (LoBs) can interact with each other to share feedback and ask questions. The changing times demand a cultural shift that is driving organizations to take a holistic approach toward testing and QA. With customers becoming the center of attention, applications need to be developed to provide value by streamlining various functions and features. Required training must be given to the employees for them to better accept the changes that automation brings, and develop the necessary skills to adapt with the faster sprint cycles. Automation should not be limited to regression testing only. Instead, its scope should be widened to incorporate report creation, scheduling and execution of tests, collecting data, and preparing test environments. Standardization and governance used to be the key components of a traditional TCoE. Except for test management, standardizing is impractical as processes get automated. For ideal results, testing tools needs to be curated and tweaked for each technology to obtain ideal results. Defying all odds, TCoEs were able to stay afloat and are still very much in the picture. Abreast with advanced tools and processes, TCoEs present the opportunity to developers, testers, and strategists to network and share their knowledge, while providing guidance to each other, wherever required. 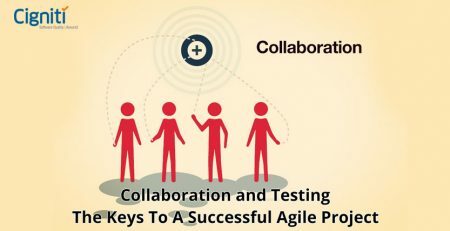 By breaking the barriers of traditional siloed structure, TCoEs facilitate the collaboration of different teams and lines of businesses, driving the shift from testing to quality engineering. At Cigniti, we have in-house Software Testing Centers of Excellence Services dedicated towards Mobile, Performance, and Security Testing to deliver high value on our client’s QA investments. With executive-level quality management, Cigniti offers a holistic way of achieving testing excellence through its TCoE framework (SCALE).